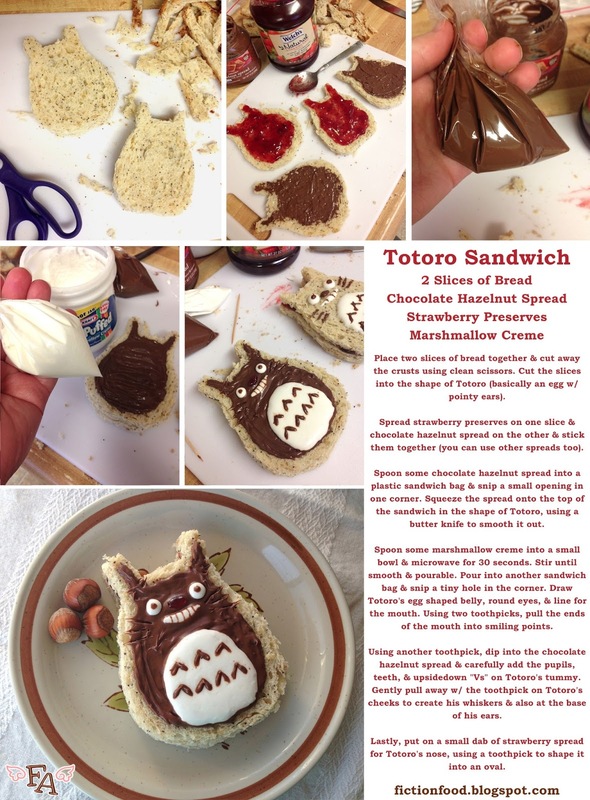 Fiction-Food Café: Totoro Dessert Sandwich for "My Neighbor Totoro"
Totoro Dessert Sandwich for "My Neighbor Totoro"
On April 16th twenty five years ago the beautiful and heart-warming Studio Ghibli animated film "My Neighbor Totoro" ("Tonari no Totoro") was released in Japanese theaters. 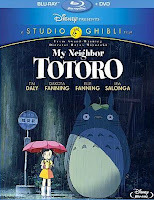 Today it is available in many languages and is set to be released on blu-ray next month (US 5/21). I first watched this movie on VHS (VHS, what's that?) when I was a teenager in the 90s. 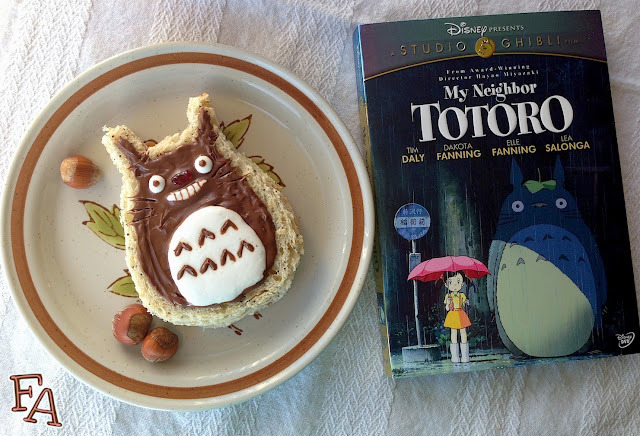 It tugged at my heart and I fell in love with the beauty of Hayao Miyazaki/Studio Ghibli films. 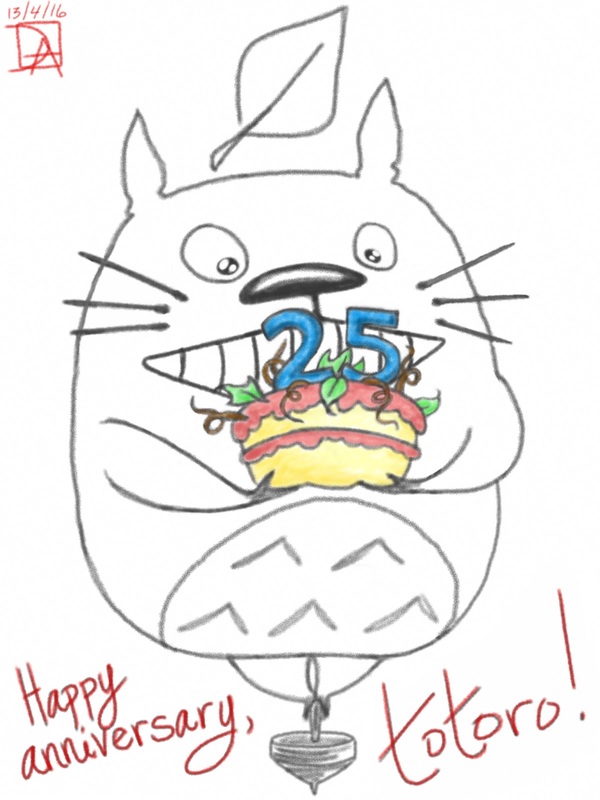 I wanted to jump on Totoro's furry belly so bad (I still do)! 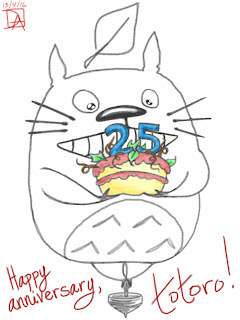 In honor of Totoro's 25th anniversary here's a little somethin' something' I put together--a quick iPad drawing and a strawberry, chocolate hazelnut, & marshmallow creme sandwich. 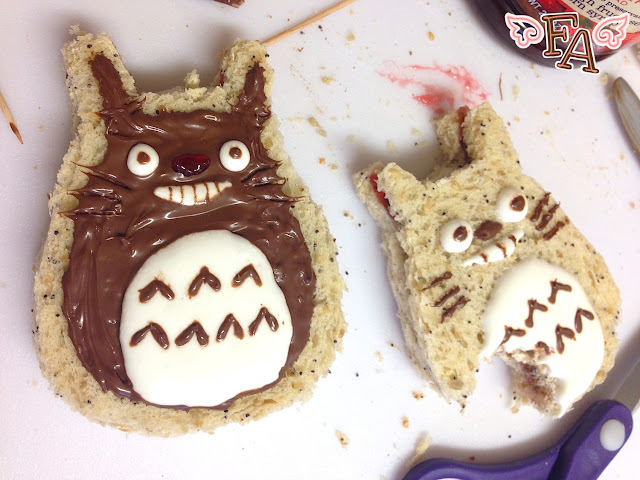 The Totoro sandwich is adorable! I've shared the process picture to Google+ (and linked to your site), I hope you don't mind! Thank you! And thank you for sharing the recipe. I don't mind at all!